Fresno Rafting float trips on the San Joaquin River. Season starts Memorial Day Weekend! Fresno Rafting Co. provides affordable, family-friendly rafting float trips on the San Joaquin River in Northern Fresno. These low-risk rafting trips that are perfect for inexperienced rafters, families, or those just looking to get away and relax along the beautiful San Joaquin River. Our affordable pricing includes a day of Fresno rafting, paddles and life-jackets for everyone in the group and a shuttle that ensures you get back to your car after your trip. Conveniently located on the north end of Freno, Fresno Rafting Co. is the closest rafting to the southern Central Valley, and is the best way to cool off during those warm summer months! Do remember that our trips, especially on Saturdays, often get booked out in advance! Lastly, if you want to be alerted on Northern California rafting specials, discounts, and free trips, sign up for our Fresno Rafting Co. newsletter! The Latest News Flows on the San Joaquin have returned to the normal range, and are projected to stay in the “average” range for the summer. Our season will start on Memorial Day Weekend, 2019! The San Joaquin River is the perfect place for beginners. Ages 5 and up are all welcome to come out for a float trip! Fresno Rafting Co. is a branch of Sunshine Rafting Adventures, a river rafting company that has been operating in Northern California for over 30 years. 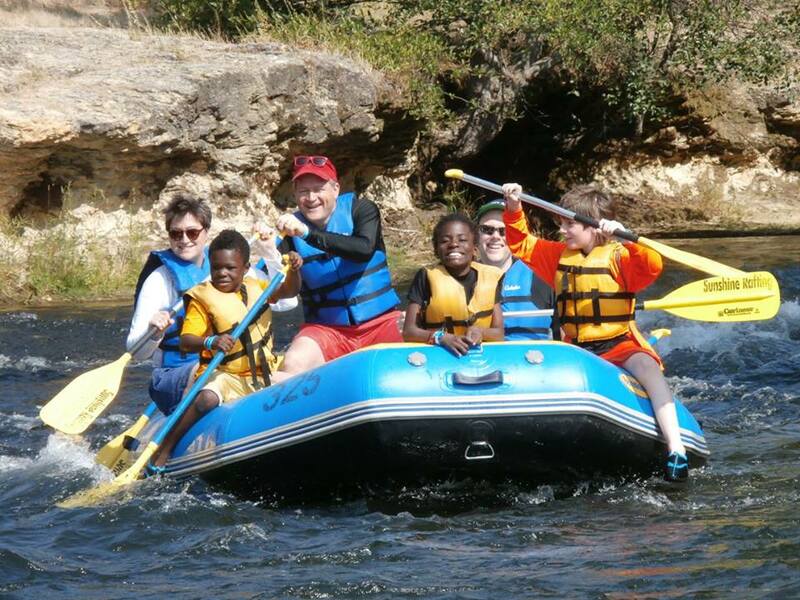 We specialize in family-friendly float trips on Northern California rivers, and have a history of providing beginners and experts alike with high-quality rafting equipment on beautiful California Rivers. Our operations on the San Joaquin River are still relatively new, but the company itself has been providing trips for years, so be rest assured that your experience on the San Joaquin River will be a first-class one!